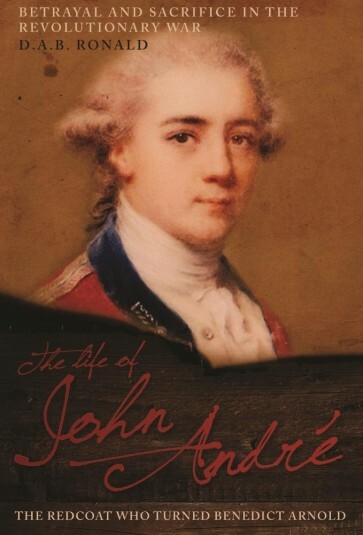 A new biography of John André, head of British secret services in the Revolutionary War, who was captured in 1780 and hanged as a spy. John André was head of the British Army's Secret Service in North America as the Revolutionary War entered its most bitter and, ultimately, decisive phase. In 1780, he masterminded the defection of a high-ranking American officer — General Benedict Arnold. Arnold—his name for ever synonymous with treason in American folklore — had recently been appointed commander of West Point and agreed, through André, to turn over to the British this strategically vital fort on the upper reaches of the Hudson River. Control of the fort would interrupt lines of communication between New England and the southern colonies, seriously impeding military operations against the British. The plan was also to simultaneously kidnap General George Washington, Commander-in-Chief of the Continental Army. By these two masterstrokes, the British believed they could end rebel resistance. The secret negotiations between Arnold and André were protracted and fraught with danger. Arnold's new wife, Peggy became the go-between in the negotiations. Arnold insisted that, to complete negotiations, he and André must meet face to face. At the dead of night on September 21st 1780 the two rendezvoused in no-man's-land. Sir Henry Clinton, commander of British forces in North America and André's immediate superior, agreed to this meeting but with three strict conditions: that André not go within the American lines; that he remain in uniform; and that he carry away from the meeting no incriminating papers. Thus, if caught, André could not be treated as a spy. Yet, when André was captured forty-eight hours later, he was within American lines, had changed into civilian clothes and was carrying maps of West Point hidden in his boots. The Americans had no option other than to treat him as a spy, especially when he himself admitted this. He was convicted by military tribunal and hanged — his death lamented both in America and England. While biographers agree on the facts of this tragic episode, they disagree on André's motives and why he chose to sacrifice himself. This new biography of André puts forward a new answer to this mystery — not only why he acted as he did, but how he wished others to see his actions.